Taipei, March 18 (CNA) Besides obesity, inflammatory T cells in the immune system may cause type 2 diabetes, especially in Asian people, a local research team said Friday. After four years of research, the team of researchers from the National Health Research Institutes (NHRI) and Taichung Veterans General Hospital (TCVGH) found that a lack of the enzyme MAP4K4 (Mitogen-activated protein kinase kinase kinase kinase 4) might cause inflammatory T cells to increase and become activated, which could then bring about type 2 diabetes. Speaking at a press conference to announce the latest findings, the team said that the lack of MAP4K4 and the increase of inflammatory T cells are highly correlated to high levels of blood glucose among type 2 diabetes patients, and unrelated to body mass index (BMI) or waist circumference. They also found that the lack of MAP4K4 might be caused by its DNA methylation, which changes the enzyme's DNA structure. The research results were published in the journal "Nature Communications" in 2014 and in "Oncotarget" in early 2016. Diabetes has been among the top five causes of death in Taiwan for the last 15 years, with the government spending NT$41 billion (US$1.26 billion) of national health insurance funds on the disease and its complications in 2014. About 90 percent of the diabetes patients in Taiwan have type 2 diabetes. The NHRI said that according to previous studies, obesity is the main cause of type 2 diabetes, but only 20 percent to 30 percent of Asian type 2 diabetes patients are fat -- defined as having a BMI bigger than 27 -- far less than their North American and European counterparts. This shows that besides obesity, there may be other causes for Asians to get type 2 diabetes. Hsu Hui-heng (許惠恒), head of the TCVGH and a member of the team, said that through the leading research, it is possible to find ways to detect inflammation of cells in the future and devise treatments. 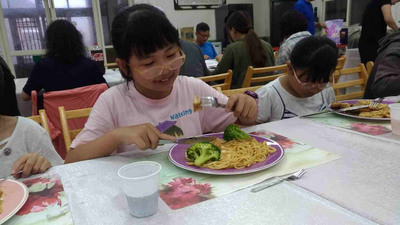 Chuang Huai-chia (莊懷佳), an assistant researcher at the NHRI's Immunology Research Center and also a member of the team, said the dysfunction of the immune system could be brought about by environmental poisons, hormones, or gut flora and that further research is needed.